Israeli Prime Minister Benjamin Netanyahu won re-election on Wednesday with his ruling Likud Party, and promised to promptly form a new government to address the challenges facing his nation. "Our country's everyday reality doesn't give us the luxury for delay," Netanyahu said in a statement, according to The New York Times. "The citizens of Israel rightfully expect that we will act quickly and responsibly to establish a leadership that will work for them in areas of defense, the economy and society just as we promised in this campaign — and just like we will now set ourselves toward doing," he added. BBC News noted that although exit polls had predicted a close contest between Likud and the center-left Zionist Union, the former established a clear lead over its rivals with almost all the votes counted. Likud is expected to receive 30 seats in the 120-seat Knesset, or parliament, allowing a coalition to take a majority of 67 seats, while the Zionist Union is projected to get 24 seats. 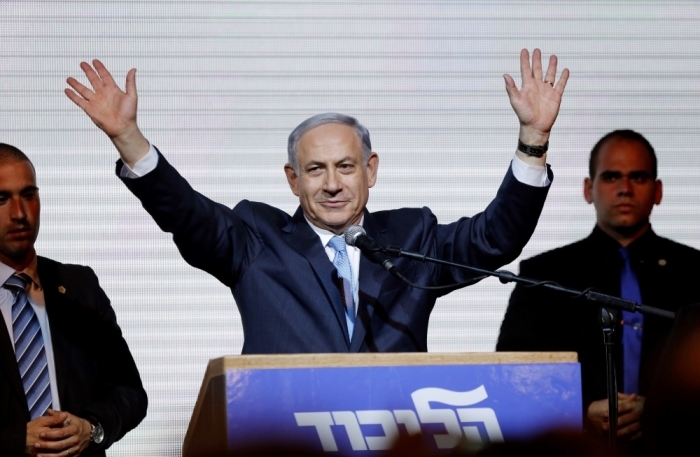 Netanyahu now looks set to become Israel's longest-serving prime minister in his fourth term, which comes as a surprise to some, given than opinion polls said that Likud trailed the Zionist Union in the run-up to the election. 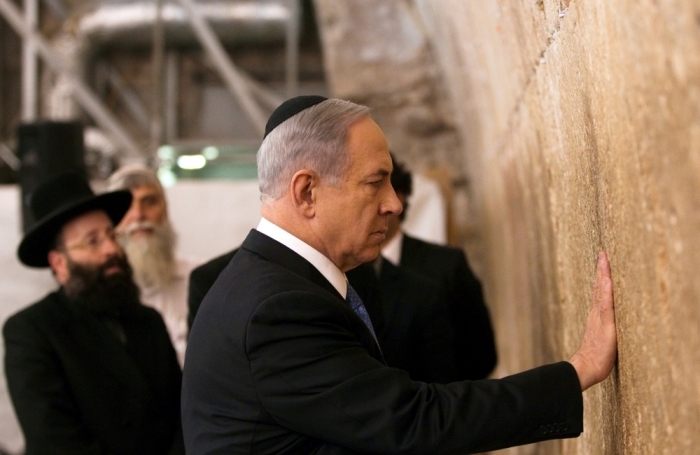 "In the end Israeli opinion polls told the wrong story, yet again. Benjamin Netanyahu scored a much bigger victory than the exit polls had suggested," BBC's Middle East editor Jeremy Bowen said. "In the last few days of the campaign he demonstrated yet again why he is such a formidable politician. The prime minister narrowed the gap with Herzog's Zionist Union, and then overhauled it, by turning sharply toward the ultra-nationalist Israeli right." Zionist Union leader Yitzhak Herzog congratulated Netanyahu on his victory, but said that his party will not be giving up. "Nothing has changed, we will keep fighting for a just society," Herzog said. Earlier in March, Netanyahu addressed Congress in a speech where he warned that a nuclear deal with Iran would leave the Jewish state in great danger. "We have been told that no deal is better than a bad deal. Well, this is a bad deal. It is a very bad deal. We are better off without it," Netanyahu said in the House of Representatives' chamber, which was met with cheers by the Republican representatives. The Israeli leader's comments were criticized by House Minority Leader Nancy Pelosi, D-Calif., who said that she was "near tears." The Democratic leader explained that she was "saddened by the insult to the intelligence of the United States as part of the P5 +1 nations, and saddened by the condescension toward our knowledge of the threat posed by Iran and our broader commitment to preventing nuclear proliferation." President Barack Obama refused to meet with Netanyahu during his visit to Washington, citing his own "policy" of not meeting with political leaders who soon face elections. Obama did, however, ignore his self-imposed policy by meeting with British Prime Minister David Cameron (who's in the middle of his own political campaign) in January. After meeting with Obama, Cameron then lobbied politicians on Capitol Hill in an effort to thwart the passage of legislaton that would place additional sanctions on Iran. The U.S. State Department also continues to face accusations that it illegally attempted to influence Israeli elections by financially supporting Netanyahu's opponent. The department gave an estimated $350,000 in taxpayer funded grants to the OneVoice Movement, an American nonprofit that seeks a two-state solution that has a subsidiary in Israel called Victory 15, which CBN News described as a grassroots movement to unseat Netanyahu. Jeremy Bird, a former campaign strategist for Obama, is also said to have been working against Netahyahu for V15. The White House has not yet released a statement on Netanyahu's victory, and said that it will withhold comments until a coalition government is formed. "We're going to give space to the formation of that coalition government," White House political director David Simas told CNN. "And we're not going to weigh in one way or another except to say that the United States and Israel have a historic and close relationship and that will continue going forward." Netanyahu's Speech at Congress to Target Obama on Iran Nuclear Deal; Obama to Make Iran Deal Without Congressional Approval?